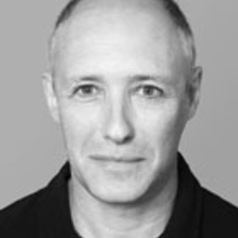 Lloyd Peters has been a professional actor, writer and director for 35 years, working with many leading writers and directors including: Mike Leigh, Alan Bleasedale, Ken Russell, Michael Wearing and Philip Saville. He has been a Senior Lecturer at the University of Salford since 1993, and has held roles as Course Leader and Division Head, as well as being awarded a Vice Chancellor’s Distinguished Teaching Award in 2011. Lloyd’s research interests centre around issues that focus on political performance, adaptation theory, comedy studies, radio drama, disability issues and non-naturalistic stage, recorded media and screen performance. The exploration and analysis of his research has been presented as chapters in international publications and articles in peer-assessed national journals as well as dissemination through BBC Radio broadcast. Lloyd is a member of the editorial board of the Comedy Studies Journal (Intellect) where his article on Racism in Comedy was published in 2010. Lloyd has begun a practice-through-research PhD, the foundation of which is the adaptation of his BBC Radio Four play Bell in the Ball (2010) for film and stage. He was invited to convene the Political Performance Working Group and to present his findings to the Disability and Performance Working Group at the International Federation for Theatre Research (IFTR) in Chile 2012.